Mr. Johnson is the founder, President & CEO and a member of the board of directors for Paramount Aviation Resources Group (“Paramount”). 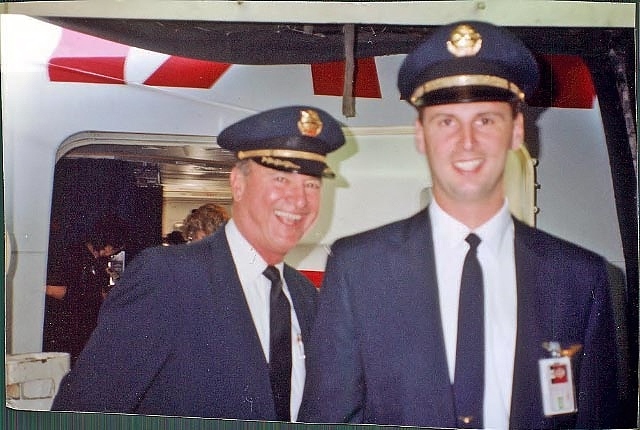 He began his aviation career as a flight instructor and then as a commuter airline pilot with Northwest Airlink before joining Trans World Airlines (TWA) in 1996. In 2001 TWA was acquired by American Airlines. 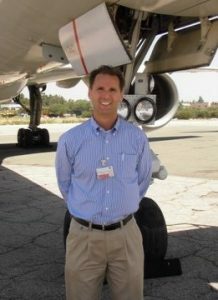 Mr. Johnson’s flight experience includes BA-3100, DC-9, MD-80, B-757, B-767, B-747 and E-190 aircraft in international and domestic operations throughout Asia, Australia, Africa, Europe, the Middle East and North America. 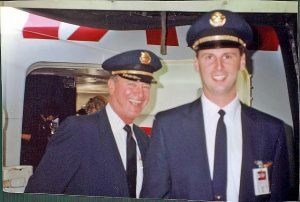 Mr. Johnson served as the Chief Pilot in Honolulu, Hawaii overseeing DC-10 and B-747 crews for JALWays (a subsidiary of Japan Airlines). His responsibilities included crew support, contractual issues, new hire interviewing and B-747 simulator evaluations. Using his background in aviation crew leasing, flight operations, instruction and management, Mr. Johnson created Paramount to provide the highest caliber personnel to world class companies. He founded the company on the core principals of honesty, integrity, complete customer satisfaction and safety in aviation. Mr. Johnson loves aviation and continues to fly on occasion through the ferry services offered by Paramount. Mr. Johnson holds a Juris Doctorate law degree from Concord University School of Law. He also holds a Bachelor of Science degree in Industrial Engineering from Clemson University. F-102A Delta Dagger as well as over 31 years at Trans World Airlines (TWA) and later at Nippon Cargo Airlines while under contract from TWA. Upon joining TWA in 1965 Mr. Johnson worked as a Flight Engineer on the Lockheed Constellation (“Connie”). He held varous operational and managerial positions at TWA, including: domestic and international line pilot, instructor, FAA designated check airman, Manager of Pilots at JFK, Manager of the JFK Training Center and Director of Flying (TWA System Chief Pilot). His flight experience includes B-707, B-727 and B-747 aircraft. He holds a JCAB (Japan) type rating on the B-747 as well. He has flown in North America, Europe, Asia, Africa and the Middle East. He holds a Master of Aeronautical Science degree from Embry-Riddle Aeronautical University and a Bachelor of Science in Education from Southern Illinois University. 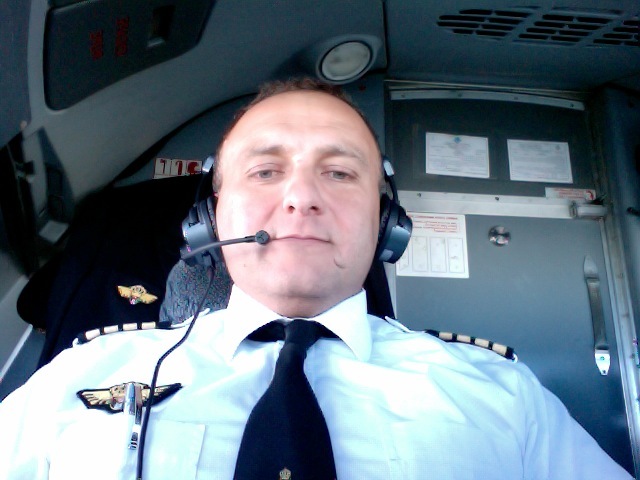 Mr. Jarrah has an extensive aviation background coupled with experience working as an expat pilot in several countries. This combination of international flight experience, expat flying experience and recruiting expertise enables Ayman to provide extensive insight into Paramount’s recruiting processes and procedures. He instills into the entire recruiting team a sense of “Providing Outstanding Service and Support” to all crew members and their families. Ayman oversees the entire recruiting team and ensures each candidate we submit meets or exceeds all of the required qualifications. Susan is responsible for overseeing Paramount’s Accounting Department. She has a wealth of experience in corporate accounting. Susan graduated from California State University – Sacramento with a B.S. in Criminal Justice with a minor in Sociology. During college, Susan interned with the Department of Alcohol, Tobacco and Firearms (ATF). She started her career as a bookkeeper for JB Management, Inc, a contract company with the U.S. Department of Defense. 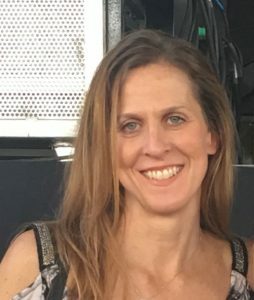 Over her nearly two decades at JB Management she worked her way up to Accounting Manager overseeing an annual budget of more than $40 million. Susan then transitioned to the American Diabetes Association as the Corporate Financial Manager before joining Paramount.